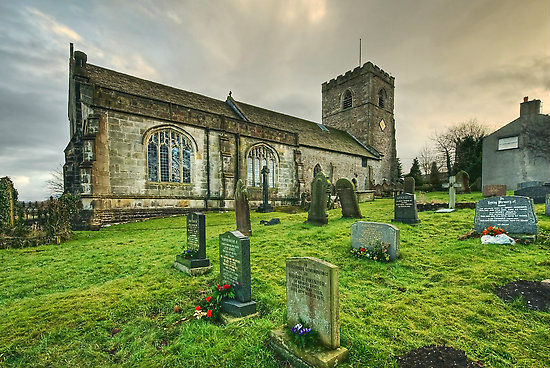 This wonderful medieval church has been a place of worship since 1270 to the present day. Please find out more about us by clicking through the pages on this website. "The People of All Hallows welcome all to a place of Christian worship, pivotal to the community for over 700 years." The Church is open everyday and our Sunday service is at 9.30am every Sunday - please join us. Details of our Easter services are available by clicking here. or click on link to the left. Please come along and join us during this important part of the Church year. Revd. Canon Brian McConkey was inducted as our vicar on 26th April 2017. This also signalled the start of our new Pastoral Benefice with St Wilfrid's Ribchester and St John, the Evangelist, Hurst Green. All Hallows and St John's have been a joint Benefice for a number of years but the joining of the three parishes was an exciting new chapter for us all. On 1st July 2018 we welcomed Karen Herschell, our new curate. Karen was ordained as a deacon at Blackburn Cathedral on Sat 30th June and hit the road running in her new role by preaching at All Hallows and St John's the next day. Karen is living at the vicarage by St John's church in Hurst Green with her husband and son. If you would like keep in touch with what is going on at All Hallows, please sign-up to receive our e-Bulletin by clicking on the link at the side of this page.